A man who was stabbed last night in Stockton is expected to survive as police search for a suspect. 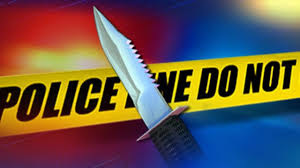 At approximately 7:36 p.m. on Saturday, June 10 Stockton Police responded to a report of a stabbing on the 400 block of California Street in the Seaport District, Responding officers located the adult male victim who has laceration to abdomen. The victim was taken to an area hospital and is expected to survive the injury. The victim advised police a Hispanic male, 40, by the name of Polo, who was last seen wearing a white tank top and gray pants, stabbed him with a knife. No Comment to " Victim Expected to Survive Stabbing, Stockton Seek Suspect Named 'Polo' "